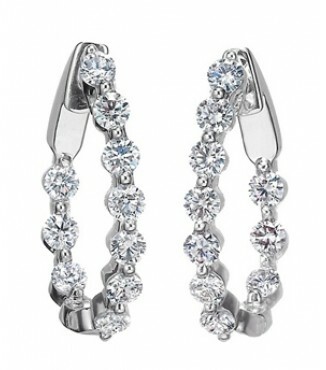 These 18K white gold diamond earrings feature the revolutionary design of shared prongs hoop earrings - unlike the traditional hoop earring where only metal can be seen from the front angle. 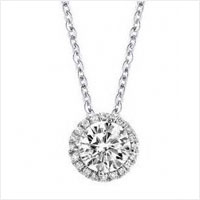 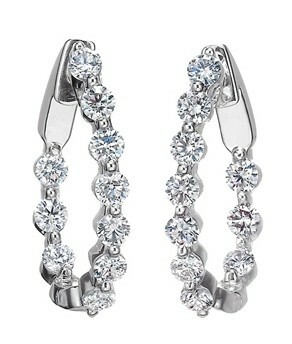 The shared prong setting shows off a unique twist in the shape allowing perfect view of all the diamonds. 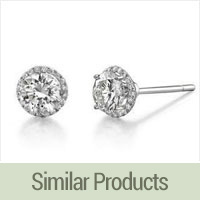 This pair of earrings features 0.94 carats of round diamonds, G-H color VS2 clarity.